Are you seriously writing about a candle? Yes. Not very tough is it? I got one of these as a gift today, and let me tell you something, it's amazing. I want to climb inside it and live for a day. I'm not a candle guy, really, I'm not, but I can dig on this. 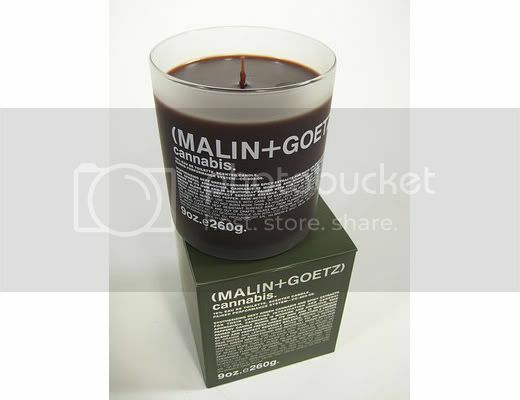 Not sure I can condone spending nearly $50 on a candle, in fact I think it's quite insane. Don't know much about cannabis, but from what I remember from college dorm life, this smells nothing like it. So good.